The International Conference on Military Communications and Information Systems, organized by the Royal Military Academy and Royal Higher Institute for Defence will take place from 23rd May to the 24th May 2016 at the Royal Military Academy in Brussels, Belgium. The conference will cover areas like CIS Support of Future Soldier, Architecture, Modelling and Simulation, Human Factors for CIS, Middleware Services and Applications, Information Fusion and Decision Support. 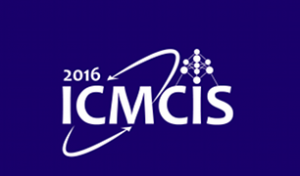 The intent of the ICMCIS is to create a forum for useful contacts and exchange ideas on development as well as implementation of advanced information and communications technologies and services in military systems. The conference gives a unique opportunity to discuss different points of view and share experience with colleagues from European and NATO nations involved in CIS.